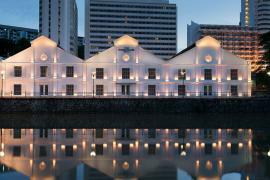 Singapore is home to some of the most lavish hotels and resorts. 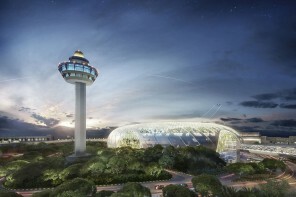 Joining the league of luxury hotels and calling Singapore its home is the new W Singapore-Sentosa Cove hotel. 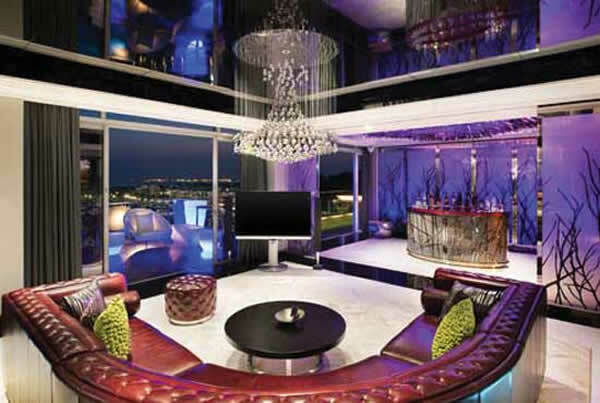 A destination for the luxury lovers, it sets new standards for luxury across the hospitality industry. 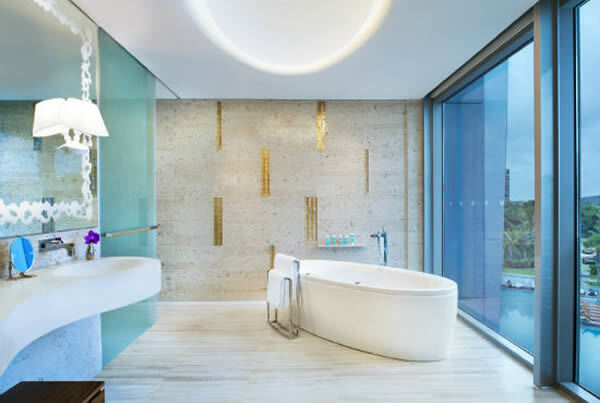 Blending beautifully the natural beauty of Sentosa and the cosmopolitan culture of the city, the W Singapore-Sentosa Cove is a treat to all your senses. 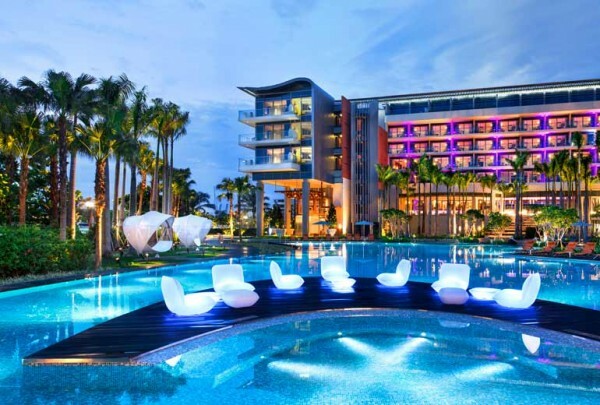 A spectacle to behold, this glowing structure amid the natural surroundings of Sentosa is sure to attract the luxury traveler like moths to a flame. 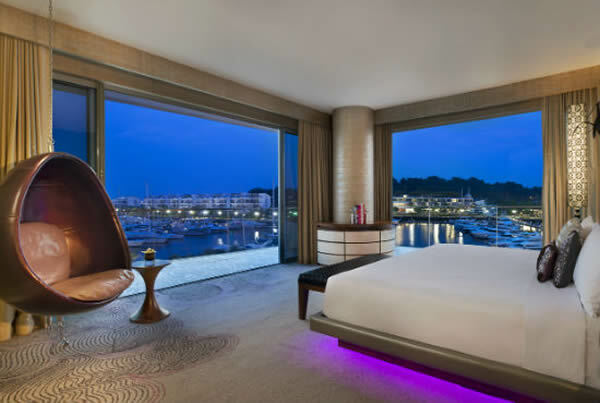 Boasting of 240 sea and marina facing guestrooms, this luxury hotel has facilities and amenities that make you wish you could call this place home. Relax at the state-of-the-art fitness center – GYM, or by the outdoor pool WET and rejuvenate at AWAY Spa, the amenities at this lush hotel are created to spoil you silly. Take in the natural beauty of Sentosa through the Great Room terrace with marina views or treat your tastebuds at the WOOBAR or the kitchen table restaurant. 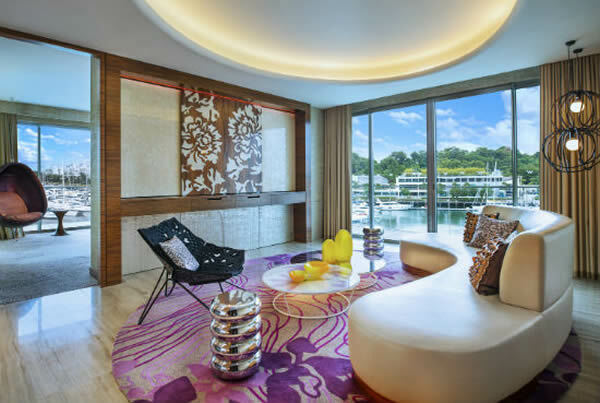 The W Singapore-Sentosa Cove promises to set new trends in luxury. 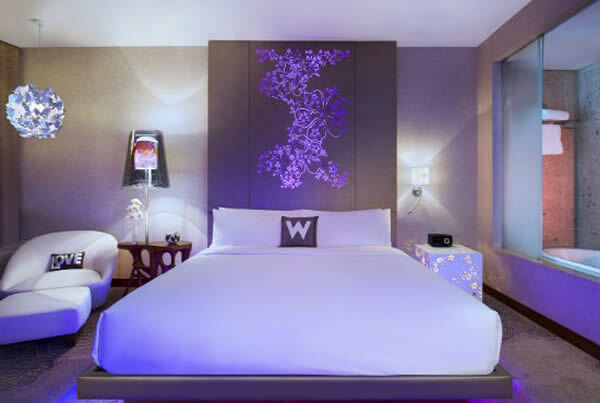 The W Singapore-Sentosa Cove hotel believes in offering its guests only the best and most spectacular experiences. The guest rooms are proof of this. 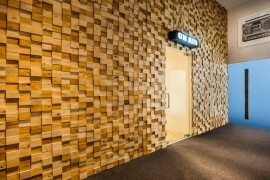 All rooms are categorized to personify the hotel’s “wow” factor through unique names. Guests can indulge themselves by booking themselves Away suites, the Marvellous Suite or the Wonderful room and the Spectacular Room. Each type of room is equipped with the most amazing features and amenities to give the guest an experience like no other. 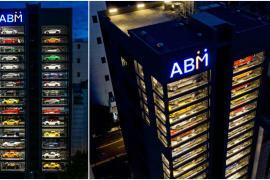 My personal favorite is definitely the Extreme Wow Suite. 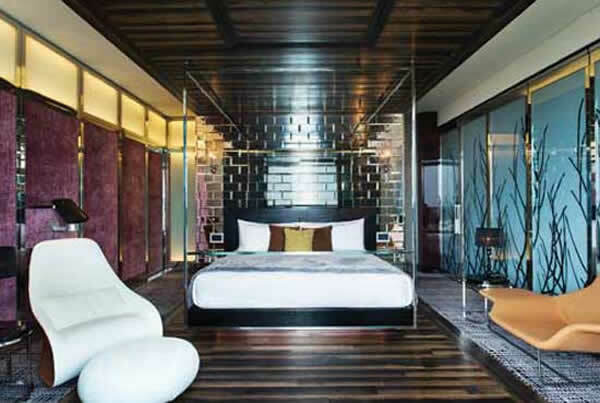 Boasting of a bold decor and contemporary layout, this suite is definitely all about “wowing” the guest. The foyer with bar fuses with a kitchenette, while the living room and balcony with plunge pool provide the perfect relaxing experience. For entertainment there are four HDTVs and a DJ booth which elevates every minute while the separate bedroom and oversized bathroom are created to pamper your senses. 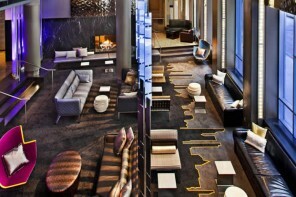 The traditional lobby gets a contemporary twist as is seen at the hotel’s W lounge. 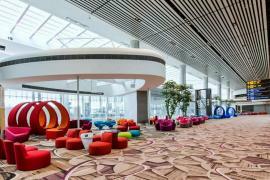 The vibrant design and relaxing ambiance invites you to while away your time mingling with friends or simply playing one of the many board games. 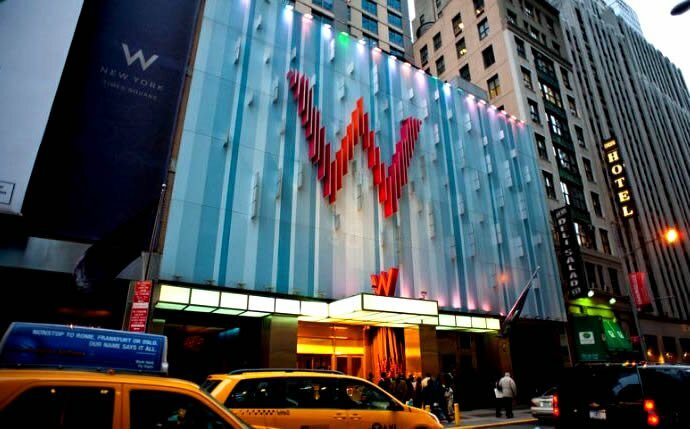 But as evening sets in this contemporary lounge takes the form of the hotel’s WOOBAR where a live DJ churns out just the right beats for you to dance or simply sips the exotic drinks. You can then head to the hotels fine dining restaurant SKIRT. A treat for your taste buds, SKIRT offers a selection of the best meat and seafood available. Lush surrounding, ambient views, luxurious decor with golden hues and the option of dinning both indoors or outdoors are just some of the USPs of this high-end restaurant. The hotel’s signature restaurant – KITCHENTABLE is also a good option for those looking to tantalize their taste buds. 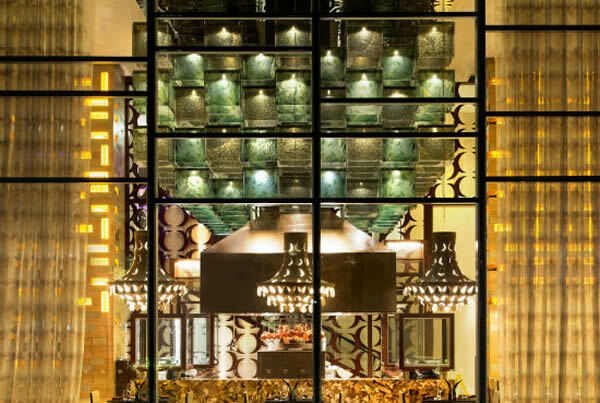 Offering international cuisine as well as the delight of live cooking stations, guests will surely enjoy grabbing a bite at this restaurant. 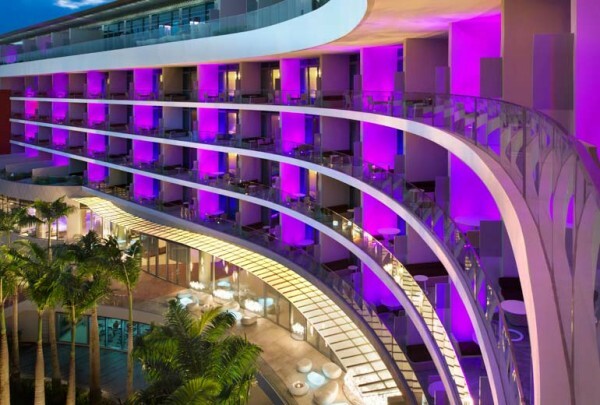 A must visit place, the W Singapore-Sentosa Cove hotel beckons the lovers of luxury from across the globe to experience fine living at its best.